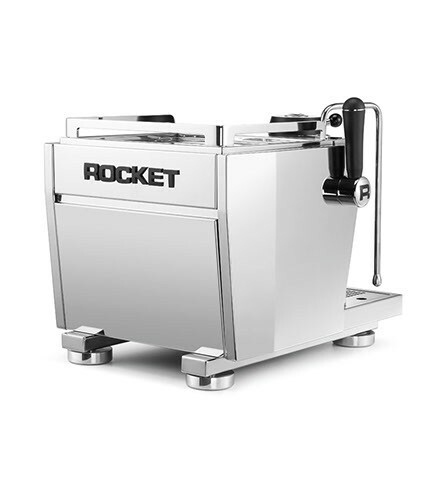 Quality: Meet technology with the Rocket Espresso R Nine One. 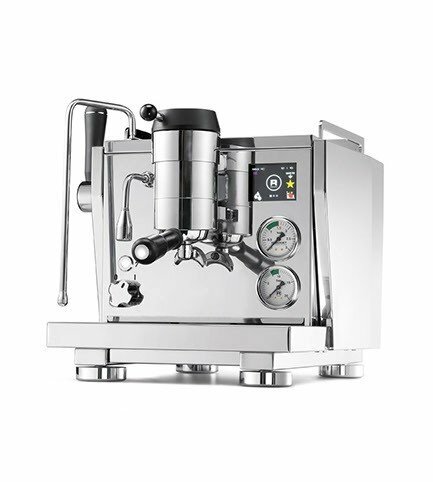 Built with the utmost in home espresso in-mind, the R Nine One builds from the design of Rocket Espresso's commercial brethren with a saturated group, stainless brew and service boilers, and programmable dosing. The R Nine One adds to this formidable foundation with both manual and programmable pressure profiling—giving you 5 profiles for any coffee recipe imaginable. Profiles are set through the R Nine One's color touchscreen, or by hand with the group-mounted control knob. 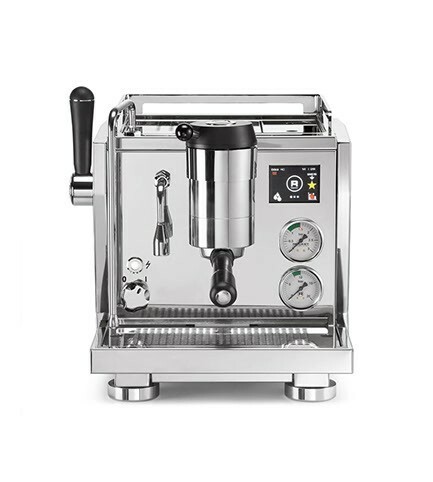 Other class-leading features include power scheduling to preheat your machine before use, PID controller temp management, and a full-stainless case and frame. 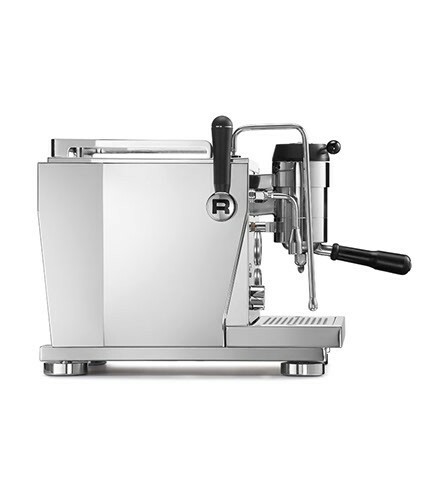 If you're looking for the next step in Italian espresso machines, the R Nine One is hard to beat. Dual Boilers - Both 1.9-liter brew and 3.6-liter steam boilers feature stainless steel construction and boiler insulation for excellent temperature management. Saturated Group - A fully-circulated water path keeps the group head temp-synced with the brew boiler, bringing added consistency to your shots. Pressure Profiling - Design shot profiles for long preinfusions or declining pressure—and anything in between. The R Nine One can be programmed for 5 pressure profiles or used manually. PID Controller - Electronic control over temperature provides easy adjustments for different coffees and intrashot stability. Volumetric Dosing - Program shot length by the milliliter for each pressure profile. Auto-on Timer - Set your R Nine One to wake up before you do! Program up to 2 heat cycles every day of the week. Stainless Steel Frame and Case - A full-stainless frame and case bring a sturdy build—and a premium look—to your kitchen or bar setup. Profiling Options - Pressure profiling gives enthusiasts unprecedented ability to play with shot flavor—from recreating classic lever machine shots to pour over-like low pressure cups of coffee. Temp Stability - A PID-controlled brew boiler and a temp-regulated group make for great shot consistency. Steam Pressure - The ample-sized steam boiler offers good pressure and recovery between drinks—even on common 15-amp power. Touchscreen UI - While the R9 One's touchscreen is necessary for the crazy amount of customization offered, the interface seems dated and clunky compared to other machines on the market. Read the Manual - Make sure to keep the manual handy! The amount of programming packed into the R9 can be a little overwhelming.